Bolivian Squirrel Monkeys live in Central and South America in the canopy layer of the rainforest. They live together in multi-male/multi-female groups with up to 500 members. Their distinctive black-and-white face gives them the name “death’s head monkey” in several Germanic languages. Squirrel Monkeys are one of the few primate species, outside of humans, who exhibit a wide range of play behaviour. Play is most common between mother and offspring and between two immature individuals. However, adults also play with other. This is a behaviour that is rarely seen in nature. 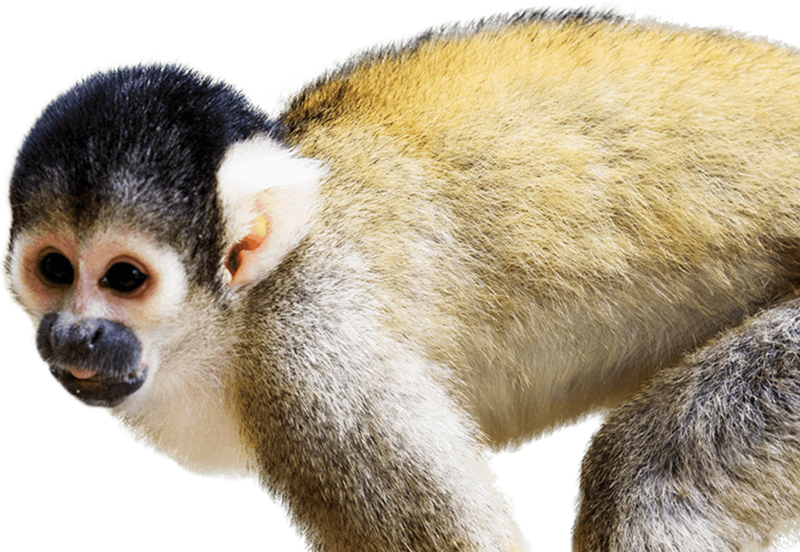 The National Zoo & Aquarium is home to 3 Squirrel Monkeys; Gypsy, Thelma and TiKan.